Do you hear your wedding bells already? Well, then you should know that this is the time for some of the most crucial decisions of a lifetime. Right from selecting the menu to the venue, you have several calls to take. But the most essential one among these is the decision of the look for your bridesmaid. You must make sure that your girl gang looks dazzling on your D-day. So, how do you want to choose the look of your girlies? You can either choose the one dress one style look for all the girls or go for a mismatched style with either giving them the same color or opting for the same style. A mismatched look is more popular nowadays because it gives more freedom and enables the beautiful bridesmaids to wear things that suit their body and personality. And if you are opting for the same color mismatched look so that your girls can pull off their varied style statements, then choose burgundy. It is a rich and warm shade that truly resonates the grandeur and royalty of a wedding, thereby perfectly suiting the occasion. There are plenty of stores which can offer you burgundy bridesmaid dresses so your girlies will not even have a problem finding the perfect dress for themselves. All you have to do is make sure that the company is a reliable one and enjoys a good reputation. 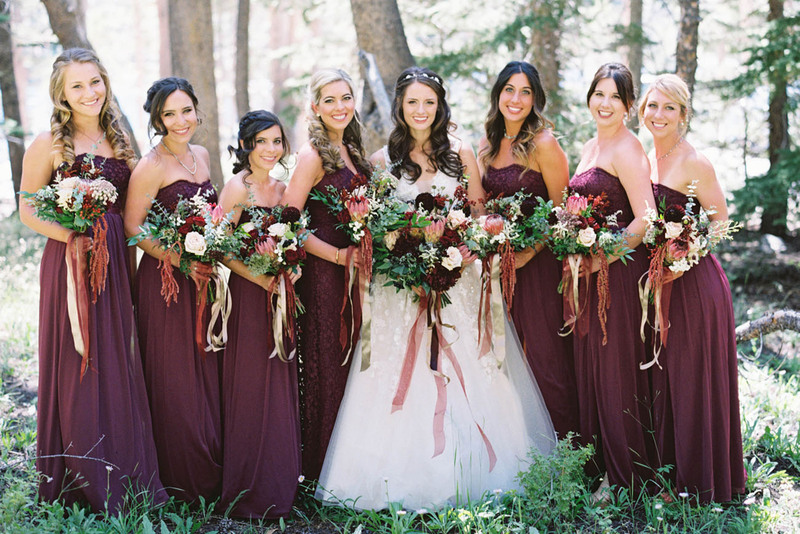 So, here, we have a few major ways burgundy is the right choice for the dresses of your bridesmaids. Take a look. The biggest problem that most of the brides face while deciding on the look of their bridesmaids is that the girls have different body frames and complexions. Therefore, you cannot choose one style and color for all. But burgundy is a safe choice. It is a beautiful shade that complements all the girls regardless of their skin undertones. It is a gorgeous color that really stands out in the crowd. And the best part is it makes a stunning contrast with the white bridal gown of the bride. So, you should go for the burgundy dresses. Secondly, you will be stunned to see the kind of variety you can get with these burgundy dresses. While it is true that not all the girls look good in a single style, but even if you give the girls one particular color and ask them to turn up in different styles of that shade, it will be a little challenging because not all kinds of shades will be available in plenty of styles. But burgundy is a phenomenal choice for you because these are found in all kinds of dresses, right from halter neck, boat neck, sleeveless, sweetheart neckline, to off-shoulder, V-neck, or even sheer back, and so on. Lastly, burgundy dresses are also more affordable than the rest. If you compare online, you will realize the most popular colors are gold, rose gold, red, black, or blue. But hardly anyone opts for this unique color. So, owing to less demand, this colored dress is more on the reasonable side. Imagine the kind of rare sight it will make when your bridesmaids don this dress in this color and that too, at such cheaper rates. If you are particularly looking to save money, then you have to look for places which offer cheap homecoming dresses, prom outfits, or bridesmaid dresses. 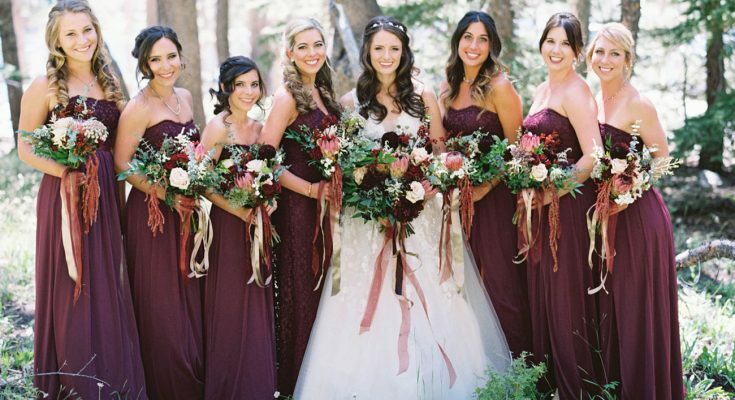 So, quickly find the right company which will offer you some stunning bridesmaid dresses in burgundy. Author Bio: Karen Thomas, a regular blogger on beautiful yet cheap homecoming dresses, prom outfits, or bridesmaid dresses, here writes a few ways in which burgundy bridesmaid dresses is perfect for your girl gang. Previous Article Data science is expanding fast – are you ready to cope? Next Article How pre-primary teacher training can help you become an early year successful teacher?